We’ve done research on tons of jewelry organizing options. 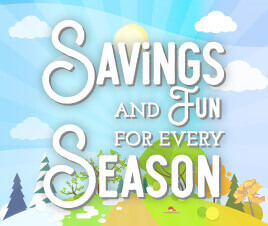 Jewelry cabinets and boxes can cost up to $150 or more! We certainly can’t justify that kind of spend, so we tested out this cheap DIY version of a jewelry “cabinet.” We spent just $4.45 on simple items you can get at any hardware store. The day before you assemble your jewelry organizer, use some leftover paint to match the thin wooden dowel to the interior of your cabinet door. You’ll want to do this the day before so the paint, however many coats you need, can dry properly. Don’t have any paint that fits the bill? We have a freebie solution you might like. Many home improvement stores will give away free sample-size cans of paint. You just have to ask. What’s even better, you can choose from hundreds of colors! 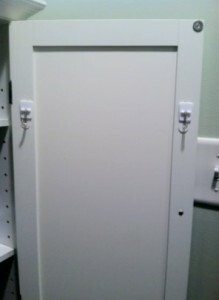 Now that your dowel is ready, prep the inside of your cabinet door by cleaning it with a damp rag. 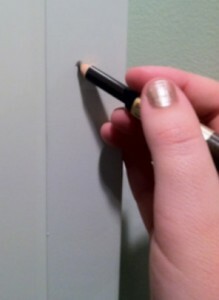 Then, use a pencil to mark where you want to place your two 3M hooks. Make sure your hanger bar will be level when your hooks are in place. 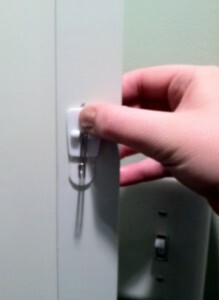 You’ll also want to test that your jewelry and hanger bar wont impede your shutting the cabinet door. We forgot this step and flubbed a little the first time. A shelf inside our cabinet was blocking the hanger bar so the door wouldn’t close! Luckily, our cabinet shelves are movable. You might not be so lucky, so double and triple-check your marks. Next stick the 3M hooks to their marks on the inside of the cabinet door. Press and hold for a little more than 30 seconds. This is what ours looked like. Let the adhesive dry for one hour. We know; we know. You just want to get this project out of the way…and all of your jewelry, too! We have some bad news: do not rush this step. If you do, the weight of your jewelry on the hanger bar could bring everything crashing down, and no one wants that. 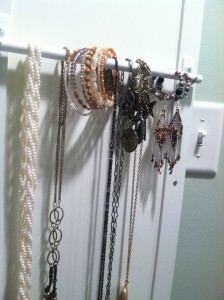 While you wait for the adhesive to dry, thread your necklaces, bracelets and hoops onto your hanger bar. 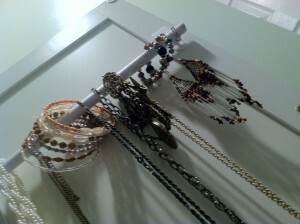 < When the hour has passed, place your jewelry hanger bar on the hooks. Voila! Here’s what ours looks like, and we only spent $4.45. Optimize your existing storage cabinets to house your jewelry organizers like we did here. Tell us how it worked for you. Share this DIY project with your friends and followers with the easy share buttons below!